After our stop at the Abbey, we continued north towards Siena. We stopped alongside the road on the way there to take in the view of the city from about 10 km away (shown above), where many of the main attractions were still clearly visible. Next to Florence, this was the largest city we visited during our time in Italy. While not as spread out as Florence, the downtown felt more commercial to me, with fewer visible residential areas. Nonetheless, as with just about every other place we visited, the architecture of the primary landmarks did not dissappoint. The Siena Cathedral is at the heart of the city, dating back almost 800 years. 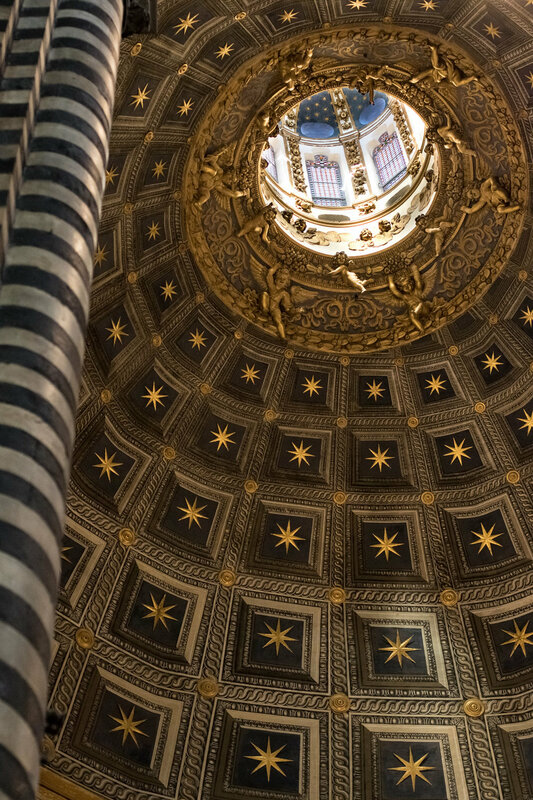 While not as large as the Florence Cathedral, the interior was far more ornate, with every inch of the marble floor containing beautiful hand-crafted mosaics. Another impressive decoration were the busts of 172 popes (dating back to the 15th century) that lined the ledges atop the cathedral walls. 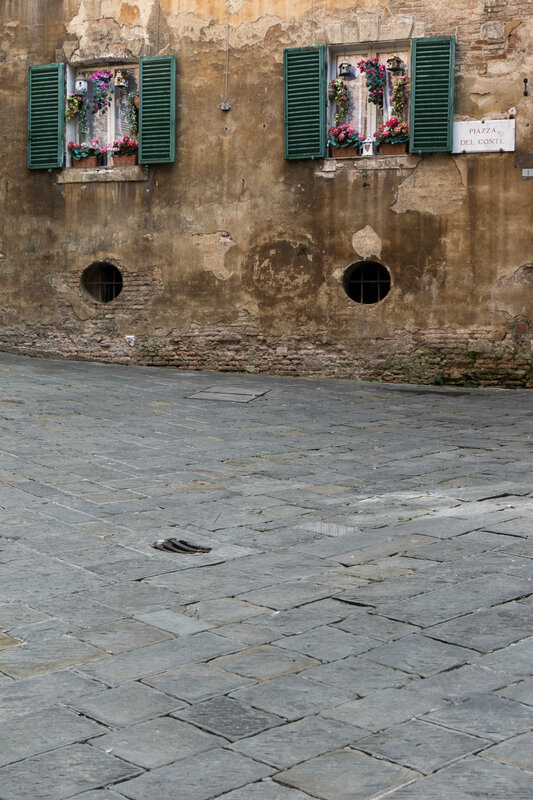 The other major landmarks were the Piazza del Campo (a large public gathering area at the center of the city) and the adjacent Palazzo Pubblico (town hall). Twice a year, the Palio de Siena, a horse race, is held around the outer track of the Piazza del Campo. If you're a James Bond fan, you may have noticed this event during a major scene in 2008's Quantum of Solace. 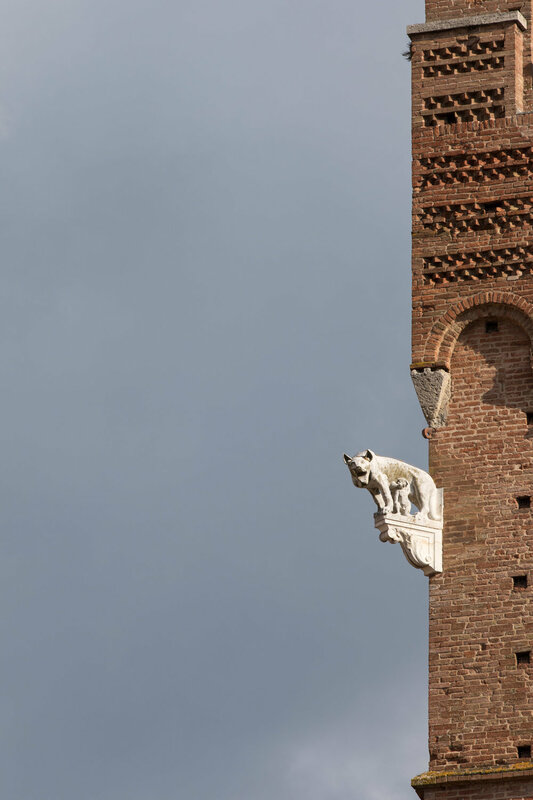 Although we did not get to venture into the Palazzo Pubblico, nor was its exterior as decorative as the cathedral, the stonework on its lofty tower was majestic in its own way. We ate lunch at a restaurant on the Campo and had a some delicious handmade pizzas. The rest of our time in Siena was spent wandering around the side streets exploring what the various shops had to offer. There were quite a few nice candid shots of residents / tourists I was able to capture, as well as some interesting detail shots. 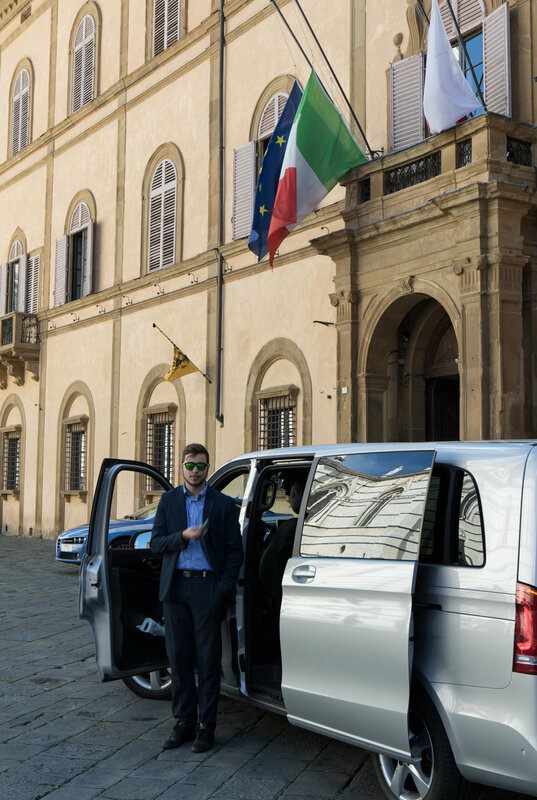 While I could've stayed in Florence for a full week and not been bored, despite enjoying Siena, I wouldn't want to stay there more than a few nights.